Located about 4 kilometers south in the city of Aswan, the Sehel Island takes a place in the Nile to the north of the old Aswan dam. A visit to this island is an escape to peace. The scenic view and rock inscriptions dedicated to the goddess Anukis and her consort Khnum are sure to catch you by surprise. The island will give you a nostalgic feeling, reminding you of the time when technology was only a word. The island can be easily accessed by a local ferry boat. Love this? 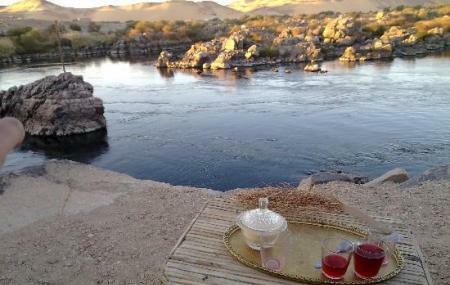 Explore the entire list of places to visit in Aswan before you plan your trip. How popular is Sehel Island? People normally club together Aswan Botanical Garden and Elephantine Island while planning their visit to Sehel Island. People also prefer to start their day with Sehel Island. It's a beautiful island, with special people! they are so nice to Western people!! It was a great time there!